Often customers prefer to deal with certain sellers they trust and want to get up-to-date information about their products. And this is what the Follow Vendor add-on allows them to do. This functionality increases the customer traffic as well as their loyalty. The add-on is created for marketplaces and multi-vendor store owners. — product review is created. All a customer should do is to click on the Follow link on the product details page or Vendor products page. Once a customer becomes a vendor follower, the notifications are sent to the customer's registered email address. Customers will be able to track the vendors they signed up for and their news in the store account. They just need to log in, click on the Follow link and have all the data at hand. — Vendor news can be sent out according to a schedule. [~] Now the "Follow vendor" button is available for non-registered users. [+] The link to the vendor products page has been added to the vendor's logo and name on the Followed vendors page. [!] The add-on was incompatible with the default Customer-to-Vendor Communication add-on in Multi-Vendor version 4.8.1. Fixed. [!] The add-on was incompatible with the default Customer-to-Vendor Communication add-on in version 4.7.1 and above. Fixed. [!] The links to the vendor information page were disabled on the vendor store page when enabling the add-on. Fixed. [!] 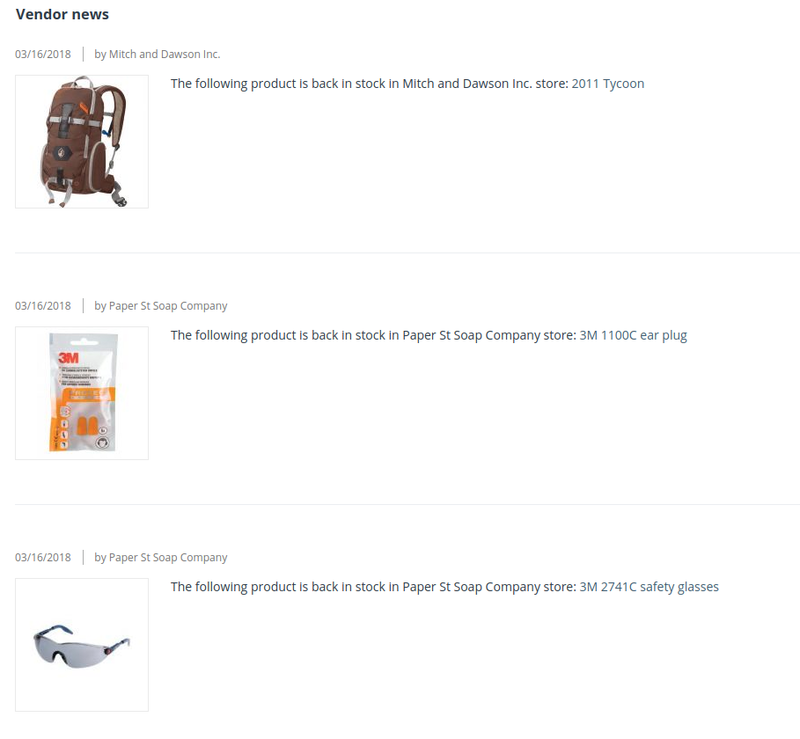 The pagination was displayed incorrectly in the list of followed vendors and their news page. Fixed. [!] The cron job for the add-on appeared in the log file. Fixed. [~] The add-on has been adapted to the third-party theme VivaShop. 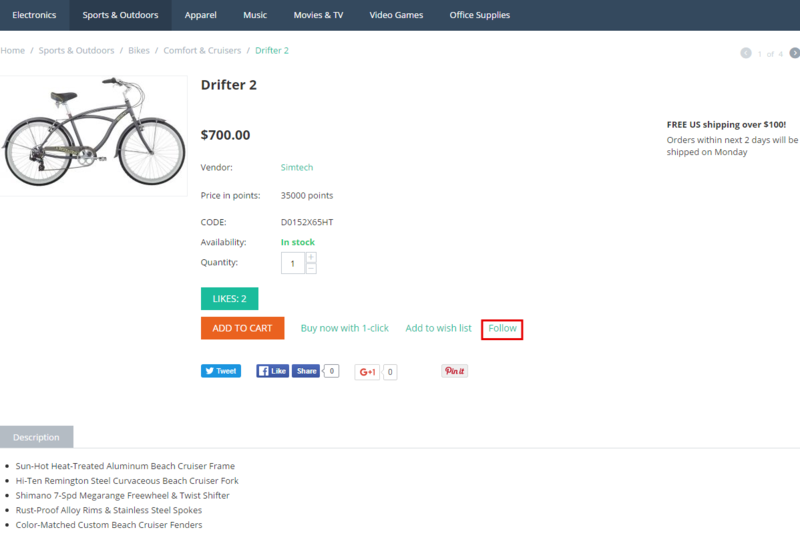 [+] The ability to add product images to the Followed vendors page that is shown to the registered and logged in customers has been added. [+] The ability to show the images of the new products has been added in the news list. [~] The priority in addon.xml has been changed. [!] The Follow Vendor button was not cached in the product blocks. Fixed. [!] Automatic emails were sent with incorrect design template applied in CS-Cart version 4.5.0. Fixed. [~] The Follow button has been renamed to Subscribe. [~] Space above the Follow button has been added. [~] News are now sorted randomly on the “Followed vendors and their news” page by default. [!] The "Sort Alphabetically" filter got duplicated. Fixed. 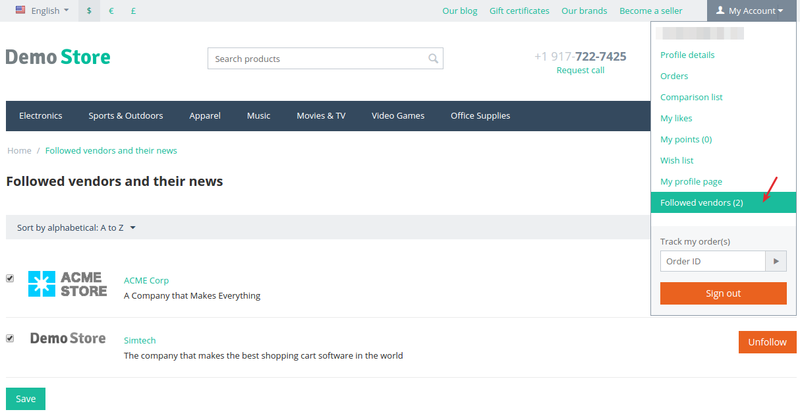 [+] The vendor news block can be added to different pages of a store. [+] Random Vendor selection was created. [!] Incompatibility of the CS-Cart default SEO add-on with Follow Vendor. Fixed. [!] Emails for all events were sent when a product was disabled. Fixed. [!] PHP notice appeared when information was saved. Fixed. [!] A php noticed was shown in the administration panel during the saving of the product. Fixed. [!] Notice after clicking Unsubscribe. Fixed.